The University of New Mexico’s Department of Theatre and Dance opens its main stage production season with Under Milk Wood by Dylan Thomas, a critically acclaimed play that has flourished for more than 60 years. Originally commissioned by the BBC as a radio drama (or a “play with voices”) in 1954, Under Milk Wood is one of Dylan Thomas’ most well-known and highly acclaimed works. It’s had many high-profile theatrical stagings and was made into a 1974 film starring Elizabeth Taylor and Peter O Toole. Through song and humor, the audience follows a day in the life of over 60 vibrant characters in the Welsh fishing village of Llargeggub. This town takes the audience on a journey for the yearning of young love, the foibles of marriage, the ghosts of drowned sailors and the games of little children. UNM Assistant Professor Kate Clarke directs Under Milk Wood. Formerly program director of Theatre at Juanita College in Huntingdon, Pa., Clarke specializes in acting, voice and movement techniques. Clarke claims that Under Milk Wood challenges student actors by pushing each student to play seven to ten roles. The cast includes Lilyan Baggerly, Cheyenne E. Bilbrey, Josh Blanchard, Russell Casados II, Alexandria Cuellar, Sydney Eubank, Andrea Gustke, Sebastien Moulton, Nathan A. Rimbert and Katherine Robinson. 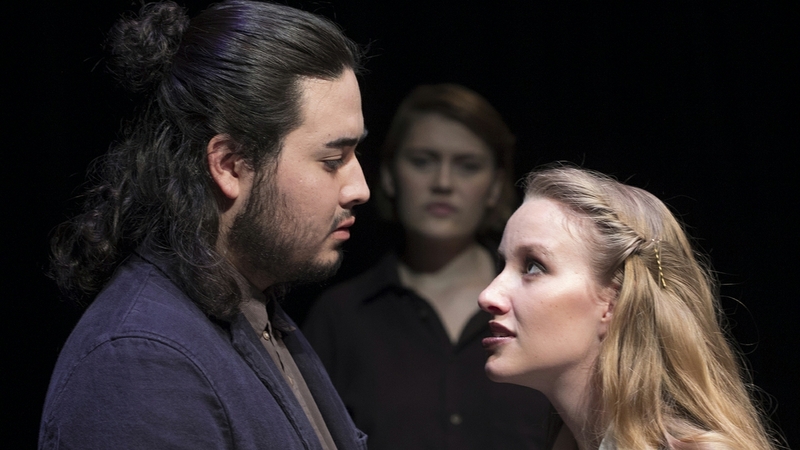 The technical team includes scenic design by Inseung Park, lighting design by William Liotta, costume design by Sophie Bernal, props design by Katie Gallegos and sound design by William Liotta and Katie Clarke. The stage manager is Rachel Nelson-Schille. 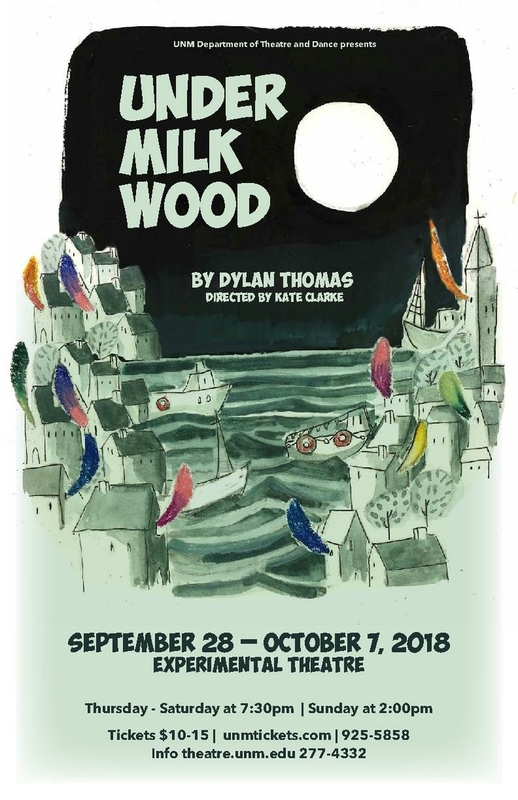 Under Milk Wood runs from Sept. 28 through Oct. 7 in the Experimental Theatre, located in the lower level of the Center for the Arts on UNM’s main campus. When: Sept. 28, 29, Oct. 4, 5 and 6 at 7:30 p.m. | Sept. 30 and Oct. 7 at 2 p.m.
Tickets: $15 general admission, $12 UNM faculty and seniors, and $10 UNM staff and all students. Pick up your tickets at any UNM ticket office, or purchase by phone at 505-925-5858 and online through www.unmtickets.com. More information about Under Milk Wood and other UNM productions is available at theatre.unm.edu or by calling 505-277-4332.